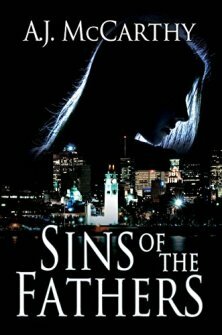 Charlene Butler, a Montreal pub owner, is convinced by her best friend to hire Simm, a private investigator, after she receives anonymous letters that quickly escalate into threatening messages. They join forces to search for the perpetrator and it leads them through the Montreal branch of the Irish Mafia to Dublin, Ireland. The people they meet and the secrets they uncover about her past are more disturbing than Charlie had imagined.This is a fast-paced suspense thriller full of twists and turns, and interesting personalities, with an ending that will take you by surprise. A must-read for lovers of the genre. People often ask me how I come up with ideas for my novels. In this case, it was a casual remark made by my brother-in-law, who mentioned the Irish Mafia in Montreal. As he spoke about it, a little bell rang in my head and I started imagining a story involving such an organization. The next day, my research began, and Sins of the Fathers was born. I’m very thankful for casual conversations.